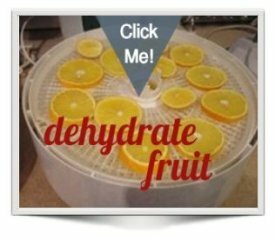 Easy Food Dehydrating | How to Dehydrate Fruit, Veggies, Meat + More! Download our 6 Simple Steps eBook (below) ~ for free! Rotting Vegetables? Stinky spuds? NOT ANY MORE! Easy Food Dehydrating is here to show you how you can stop wasting money and enjoy your favorite fruits and veggies all year long. How? Simply by dehydrating fresh fruits and veggies when they are plentiful (in season) and by taking advantage of those fabulous road-side stands. Not only that, we'll show you how to dehydrate frozen foods. When fresh isn't available seasonally, buy them frozen when they're on sale at your grocery store! Grab bags of frozen peas and corn — onions too! Frozen foods are ideal for those who are visiting our site to learn more about storing food for long-term purposes. Store your dehydrated food safely in Mason jars for daily/weekly use, or vacuum-seal them in bags for safe long-term storage. Go find an under-used closet — or make room along a bare wall! Easy Food Dehydrating is the best place on the 'net to learn how to dehydrate FRESH or FROZEN food for healthy snacks! 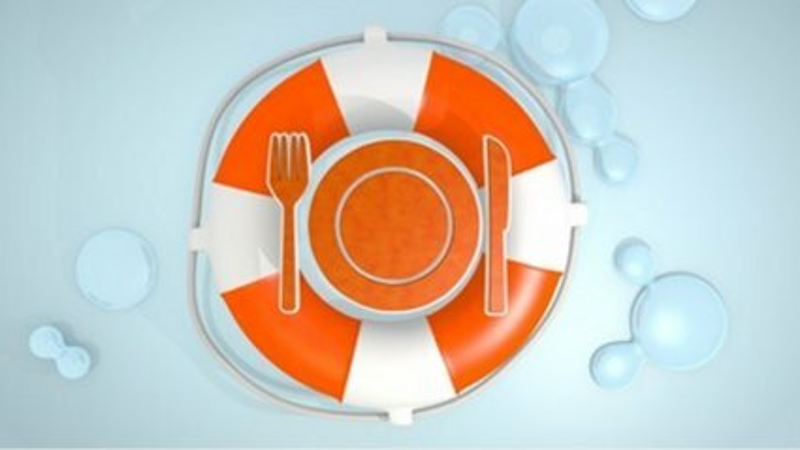 If you have any questions on how to dehydrate food, visit Frequently Asked Questions. We assembled an eBook HERE with over 225 questions asked — and answered! If you discover your question wasn't answered, please Contact Us and we'll get right back to you via email AND we'll do a blog post featuring your question and our answer! Food dehydrating is easy: get going today with fruit, vegetables, and meat! We have tasty recipes too. And for preppers: all you need to know about food storage containers. Dehydrate food instead of throwing spoiled food down the disposal because you "forgot about it" in the bottom drawer of the refrigerator — or because you simply had too much on hand when the fruit or veggie was in season! Both are perfect reasons to dehydrate food for healthy hiking food on your next trip or for serious survival food. 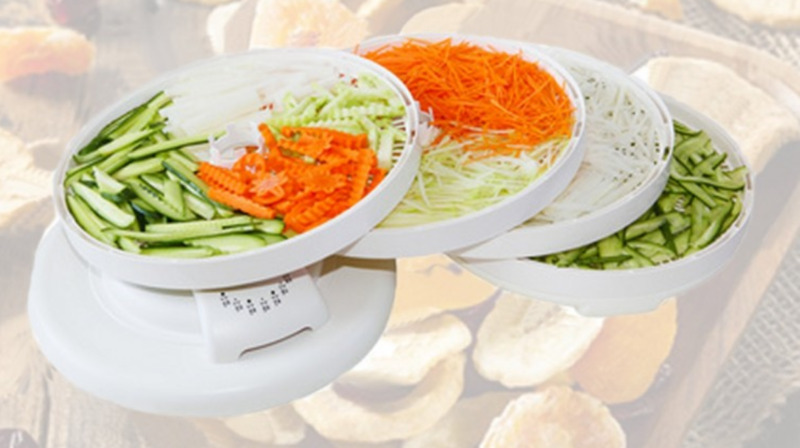 See our Food Dehydrating Online Courses on Udemy! Our classic 3-hour Udemy course. 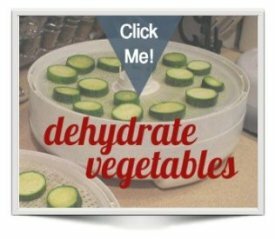 about food dehydrating — and then some! then go for our 1-hour Udemy course. It's time well spent. Don't Forget the Family Pet! Yes, you CAN make your own dog food — my Miniature Pinscher is thriving — she's ten years old and doesn't look a day over five! 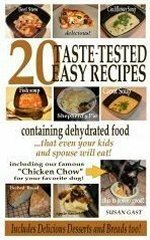 Read more on how to make Chicken Chow Dog Food and make your dog a happy, healthy dog too! The recipe is chock-full of goodness: sweet potatoes, celery, carrots, chicken stock (that doesn't contain onion. Why? Onion is poisonous to dogs). Our recipe contains the goodness from quinoa and millet, along with two chicken breasts, cooked in a pressure cooker along with the veggies. The millet and quinoa are cooked in a saucepan separately. 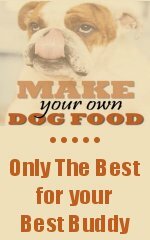 Combine all, add the minerals, and feed to your best friend! Your pooch will lavish you with licks when you serve this healthy dinner to your dog! 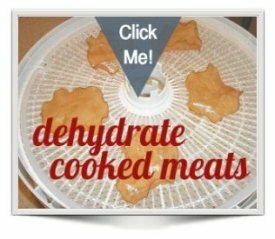 Dehydrated Chicken Chow Doggie Biscuits! and I don't look a day over 45! I eat Chicken Chow Dog Food every day! Food dehydrating has come a long way since the olden days. Treat your family to healthy snacks like banana chips. Save precious prep time in the kitchen by having your veggies 'ready to go.' This way, you can throw a soup together in mere minutes. Thank you for stopping by! Contact us if you've any questions at all. We're here to help. Read more Visitor Testimonials HERE. 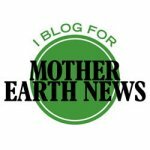 Click the headline above, or click HERE to read our posts on Mother Earth News. 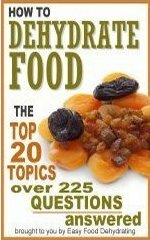 Get Armed with our Food Dehydrating eBooks! read more here on the site about them!